Home > News > Product Knowledge > What's the Effect of Uneven Feeding on the Machine? What's the Effect of Uneven Feeding on the Machine? Vibrating screen is a kind of fine powder screening equipment with high precision, low noise, and high efficiency in close structure, which is used for the screening and filtering of particle and powder. How to feed the materials correctly in the production process has been concerned by many users, but some users ignore the problem of uneven feeding. What's the effect of uneven feeding on the machine? The uneven feeding of vibrating screen will greatly reduce the screening efficiency. If the material is fed too much at one time, exceeding the bearing loading, it will be discharged before screening completely, which lead to more fine materials are discharged from the coarse discharging opening, greatly reducing the screening efficiency. The uneven feeding will cause one side of sieve surface piles too many materials, and the other side with no materials, which reduces the utilization ratio of the whole screen and leads to the problem that the output cannot meet the requirements. On the other hand, due to the uneven incoming of the materials, one side accumulates too many materials. Once the thickness of accumulated materials is thick, it will affect the screening precision and output. If a large amount of materials are fed for a long time, the motor loading would be increased suddenly, which will damage the vibrating screen motor and reduce the service life of the motor. In the long term, the user must maintain or replace the motor to increase the equipment maintenance cost. In conclusion, the uneven feeding of vibrating screen in the production process will lead to many serious consequences. These consequences will not only affect the normal production, but also increase the maintenance cost. Therefore, the reasonable feeding method can not only effectively improve the production efficiency, but also increase the equipment input cost to a certain extent. 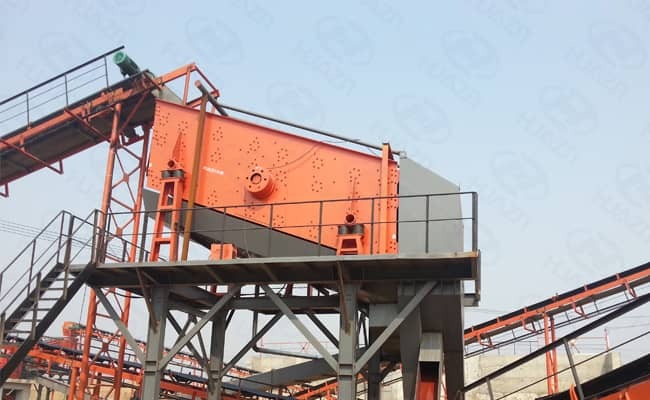 Only in strict accordance with the corresponding operating procedures of vibrating screen, can save time, save manpower, and improve production efficiency.